Nothing is as relaxing as a warm bath! That is one of the reasons that Bath Bombs are so popular. 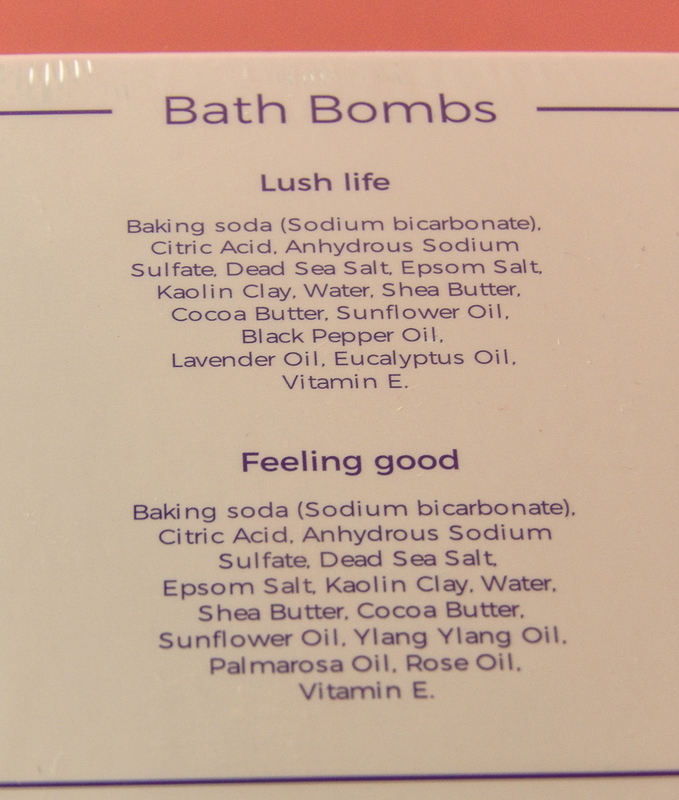 But as fun as Bath Bombs can be, many bath bombs contain chemicals and dyes that are unhealthy for the skin. They also leave a colored ring around the tub that must be washed off after the bath. The Cute & Young Bath Bomb Gift Set is a luxury scented bath bomb set made of organic and emollient ingredients to soften skin naturally and safely and leaves no residual ring on the tub or residual on your skin! A set of six extra-large 4.2 ounces, scented, luxe, handmade, organic, cruelty-free vegan bath bombs that are made with natural essential oils, Dead Sea Salts, Shea Butter and Cocoa Butters for natural softening of skin with a lovely scent. 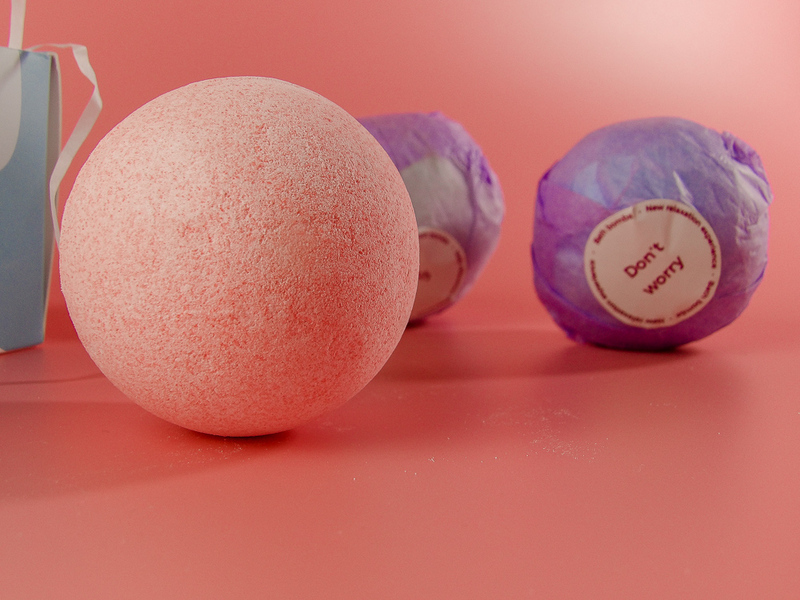 These fizzy colorful bath bombs will not stain your tub. 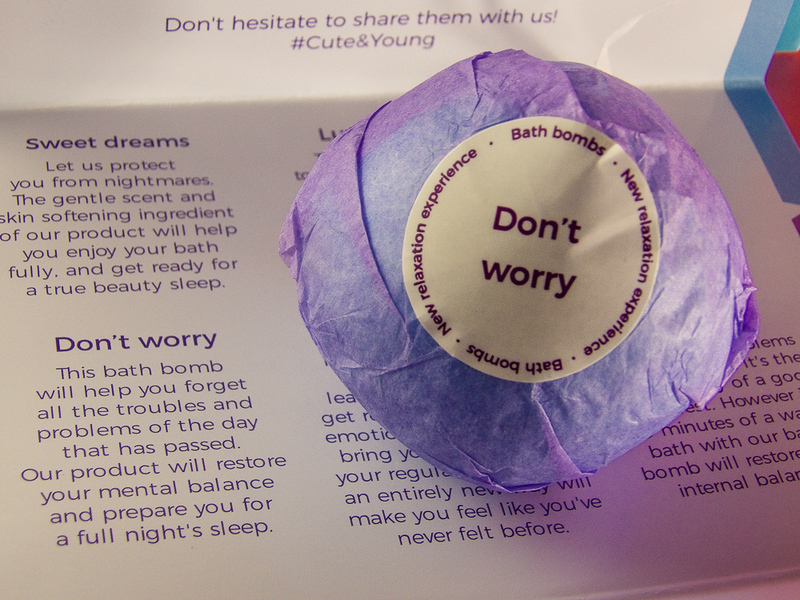 The Cute & Young Bath Bomb Gift Set comes in a presentation box ready for gift giving, The gift box is sturdy, cute and well made. 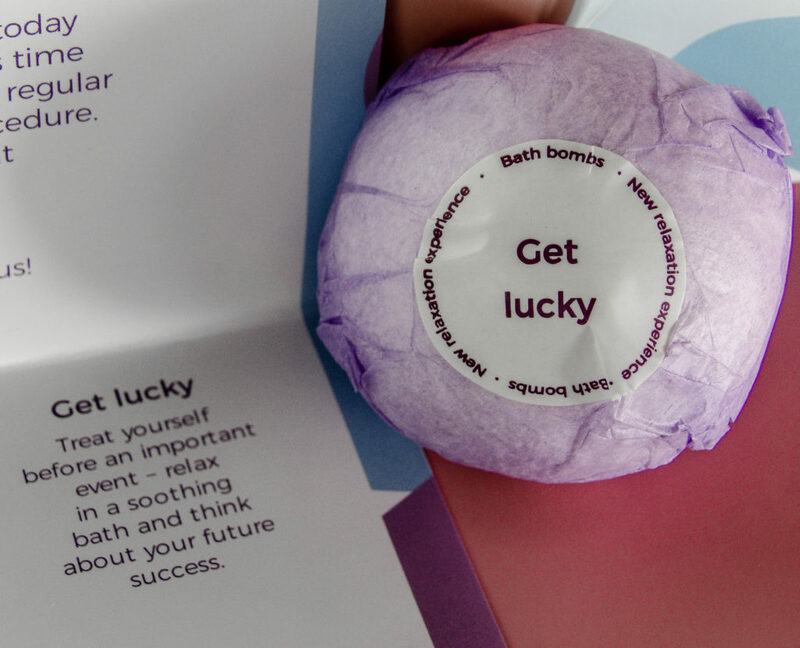 Inside it contains six bath bombs and a colorful welcoming information on each individual Bath Bomb. 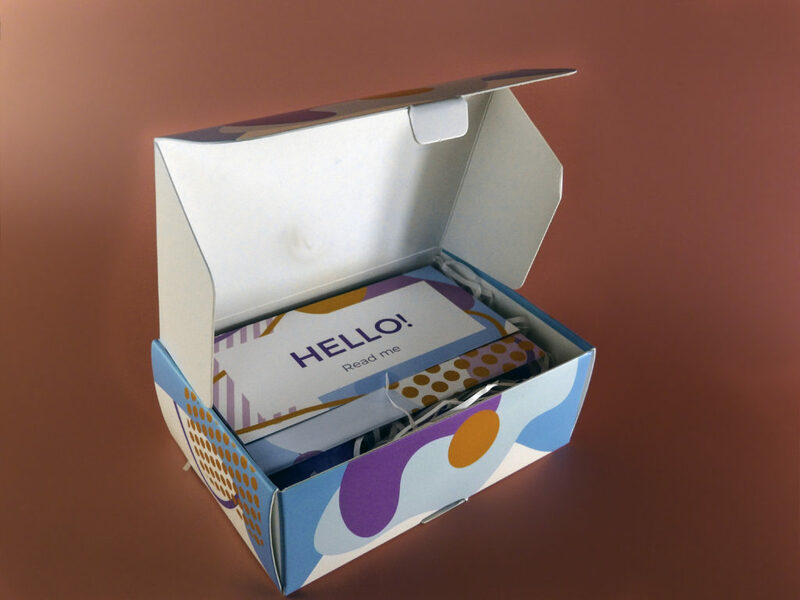 Each bomb is individually wrapped with an inner plastic wrap and an outer colorful tissue wrap with a cute sticker to keep them safe and intact until used. 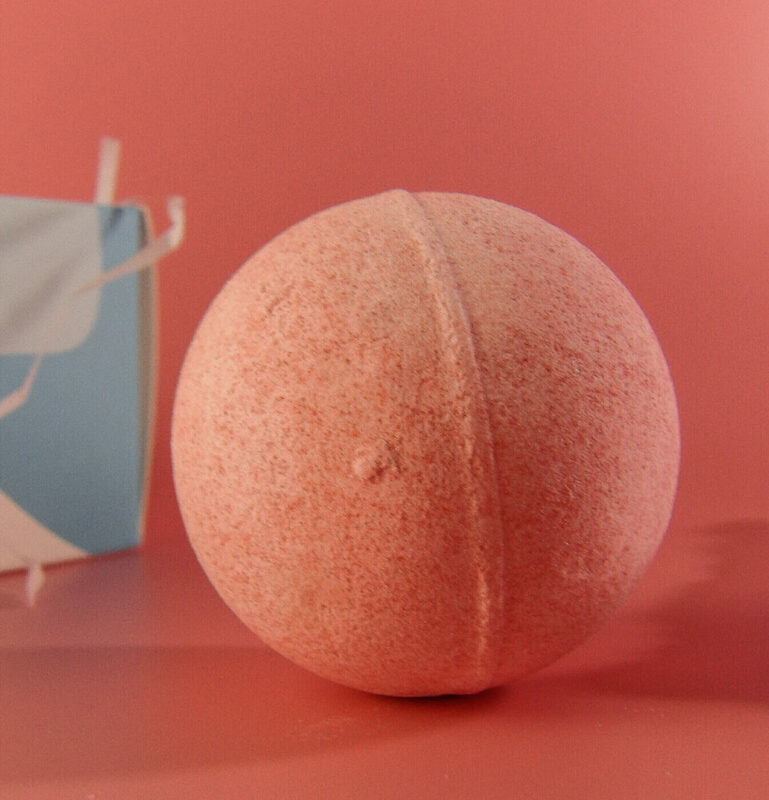 These luxe bath bombs are extra large at 4.2 ounces, which is larger than many high-end boutique bath bombs that cost up to $10-$15 per bomb. 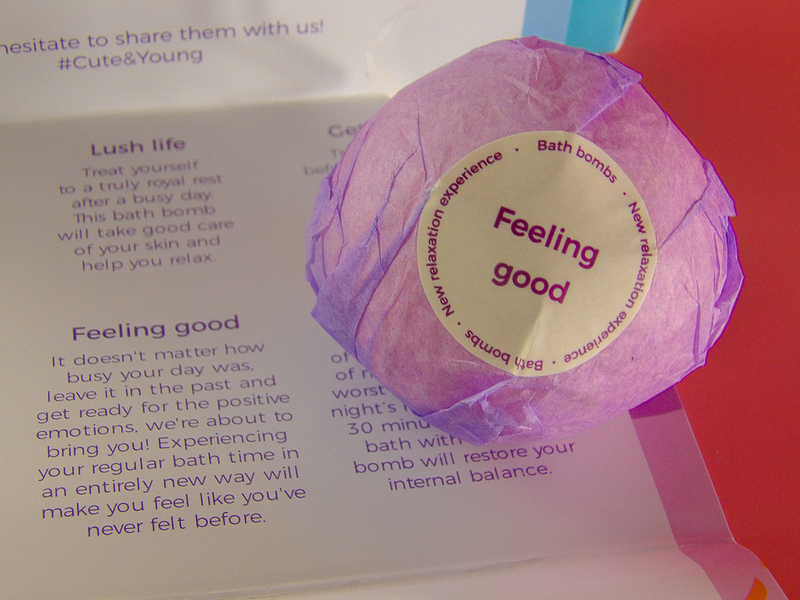 The larger size means a fizzier bursts or bubbles and an infusion of scented oils for a more soothing bath experience. 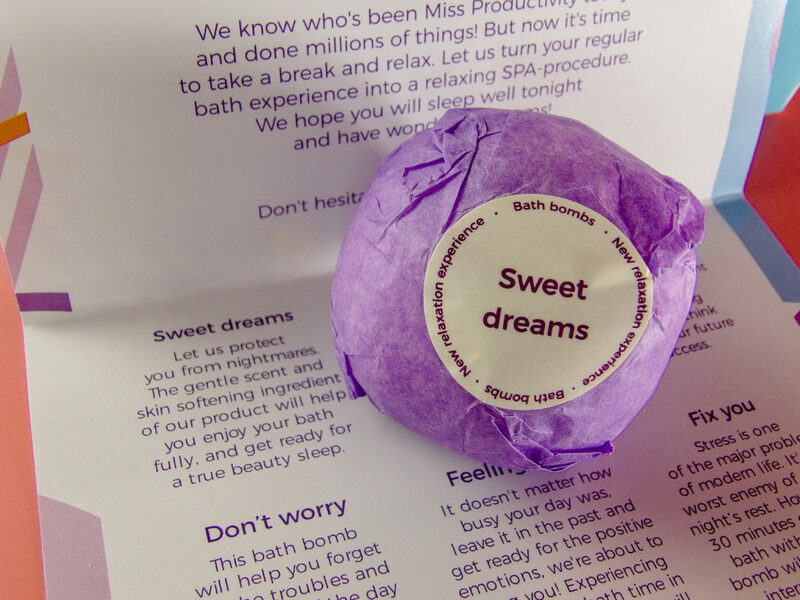 Sweet Dreams is so relaxing before bed! Made with only organic, natural ingredients including Dead Sea Salt & Epsom Salt which naturally soften the skin, improve blood circulation and ease muscular pain. 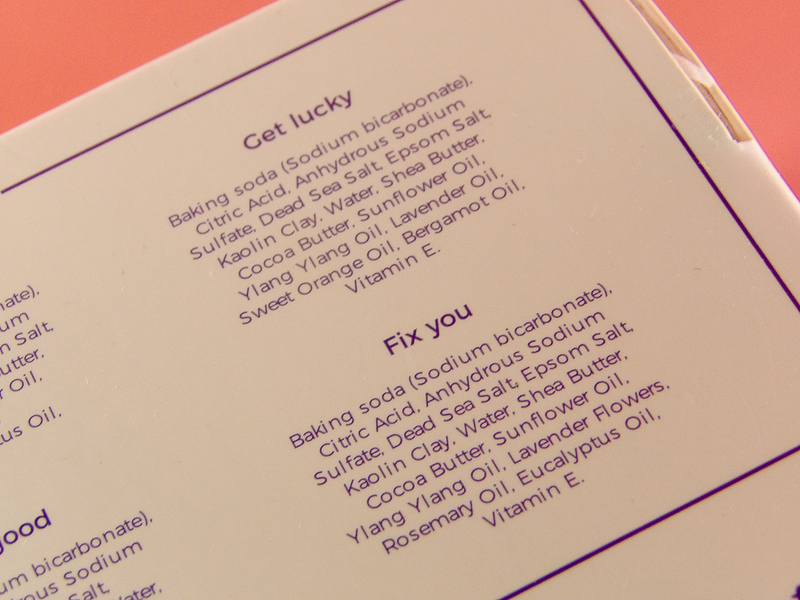 There is also Baking Soda, Citric Acid, Kaolin Clay which gently cleanses and detoxifies the skin. Shea Butter, Cocoa Butter, and Sunflower Oil all moisturize and nourish the skin. Essential Oils vary depending on the individual bath bomb but include Lavender Flowers, Sandalwood Oil, Chamomile Oil, Ylang Ylang Oil, Black Pepper Oil, Lavender Oil, Eucalyptus Oil, Sweet Orange Oil, Bergamot Oil, Peppermint Oil, Juniper Oil, Rosemary Oil, Palmarosa Oil, and Rose Oil. Vitamin E is an anti-oxidant that keep skin youthful looking, fights wrinkles and fades scars. SENSORY EXPERIENCE: One bath bomb is enough for a regular sized tub, two can be used if desired in an especially large tub. 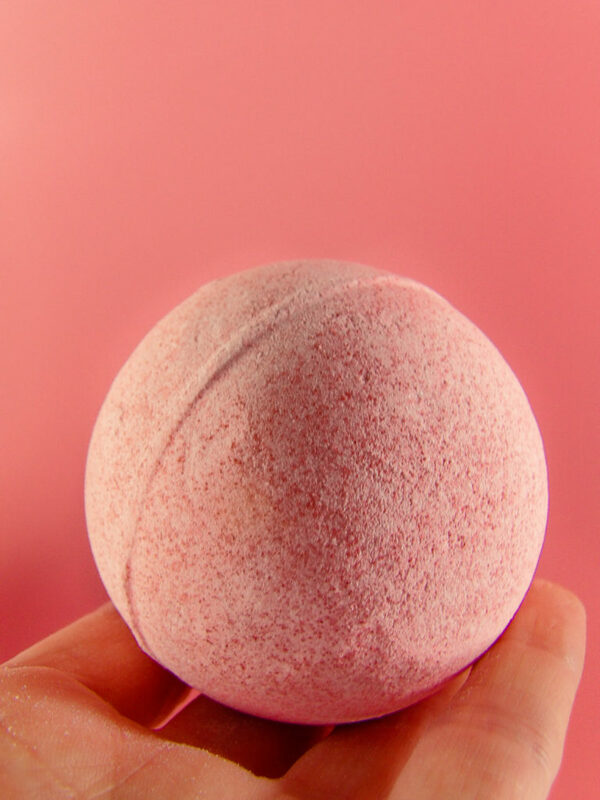 However, since these are larger than typical bombs, I found using just one to be plenty of fizz, bubbles, and aroma for an enjoyable long soak in the tub. 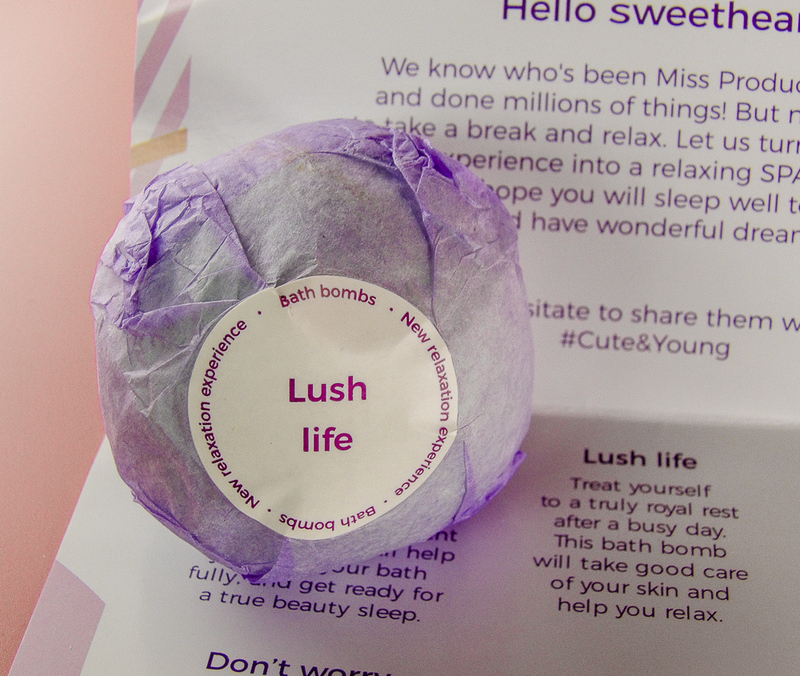 Check out the video at the end of this post to watch a Cute & Young Bath Bomb in action! RELAXING: The combination of Epsom Salts and the Dead Sea Salts are particularly relaxing and soothing to aching muscles after a gym workout, pilates, or yoga session. 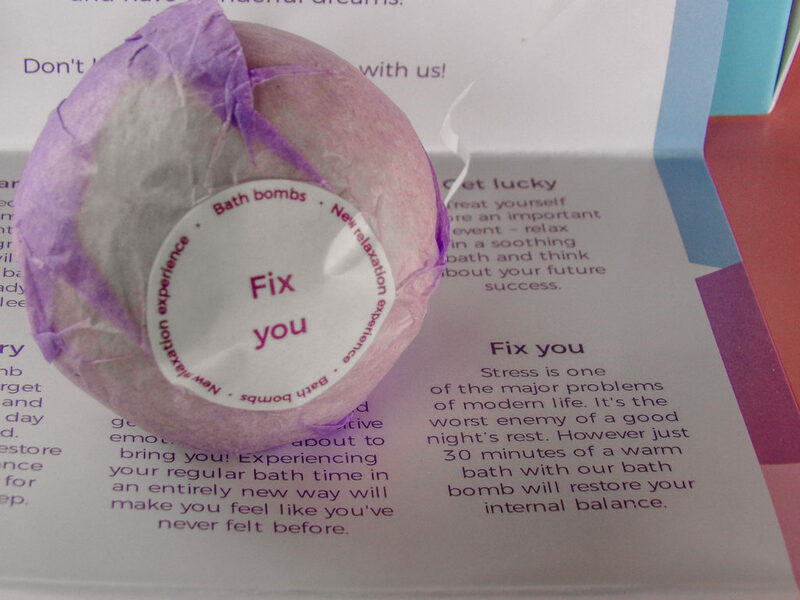 If you do a “leg day” at the gym, I would particularly recommend the “Fix You” bath bomb that contains several great natural anti-inflammatory essential oils to ease aching muscles. MOISTURIZING: In addition to the softening properties of Dead Sea Salts and Epsom Salts, there are generous amounts of moisturizing ingredients such as Shea Butter and Cocoa Butter plus hydrating essential oils that leave skin so soft! 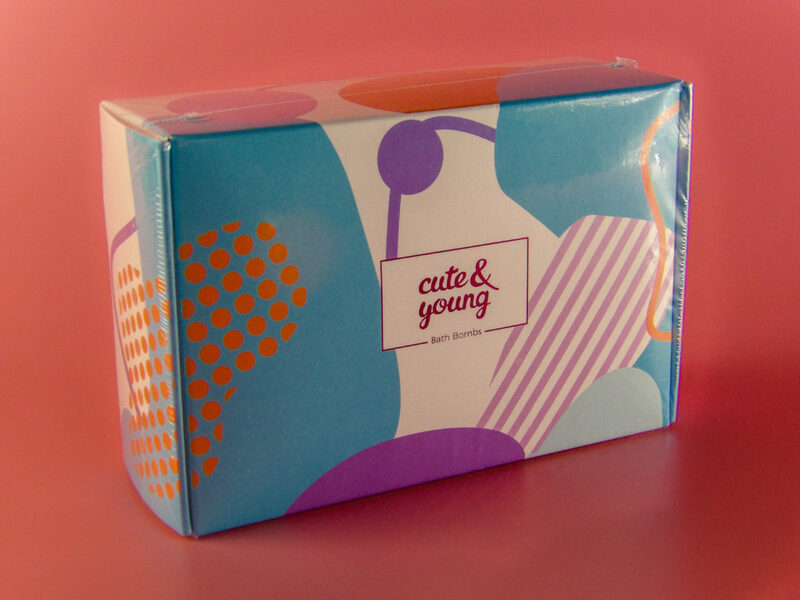 A lovely boxed gift that is perfect for women of any age, as the all-natural, organic ingredients are safe enough for even a young girl or teen to use on their delicate skin. The Bath Bomb set comes gift boxed with a delightful presentation that is festive and feminine. 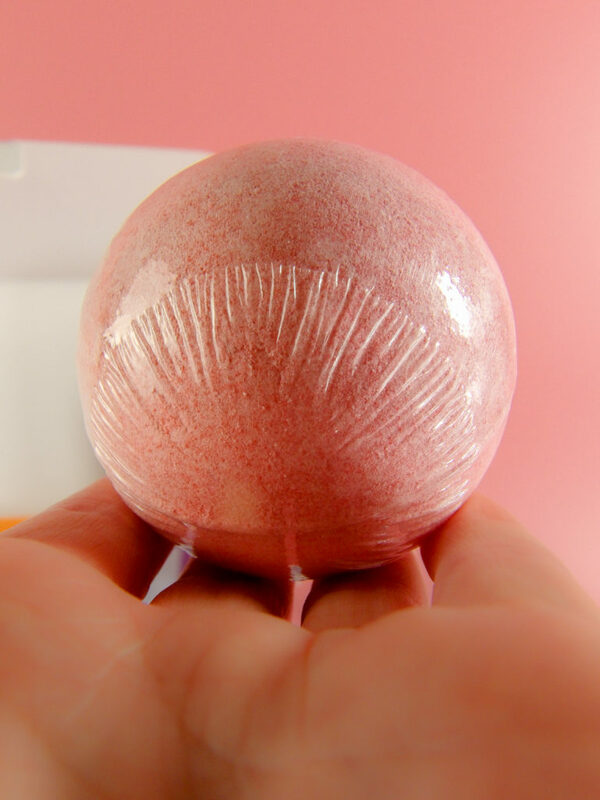 The six individually wrapped bath bombs are HUGE at 4.2 ounces each, and provide ample fizz, bubbles, foam, and aroma to make for a delightful bath experience! 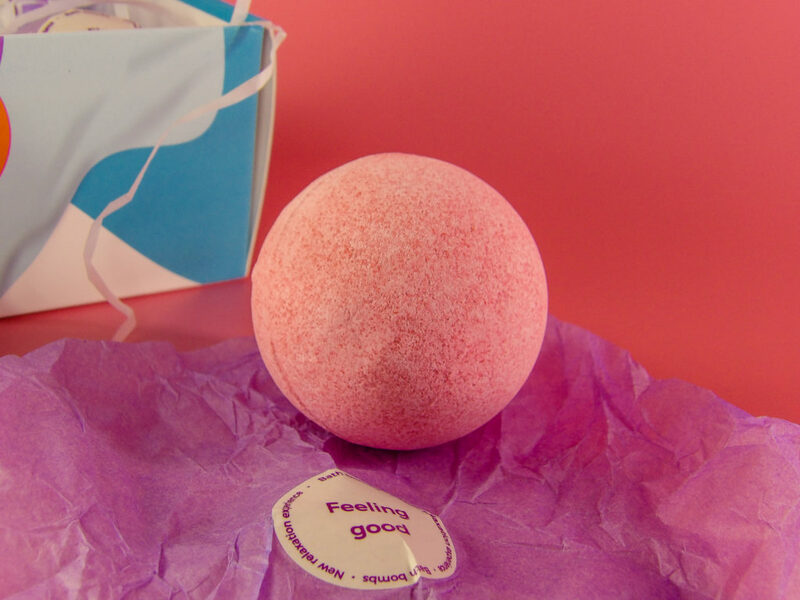 I love the variety of bath bomb included in this set, as each moisturizing bath bomb includes differing essential oils for a different experience, whether improving a good nights sleep, soothing aching muscles, feeling invigorated, or relaxed. The gift set comes with a 100% risk-free satisfaction guarantee. 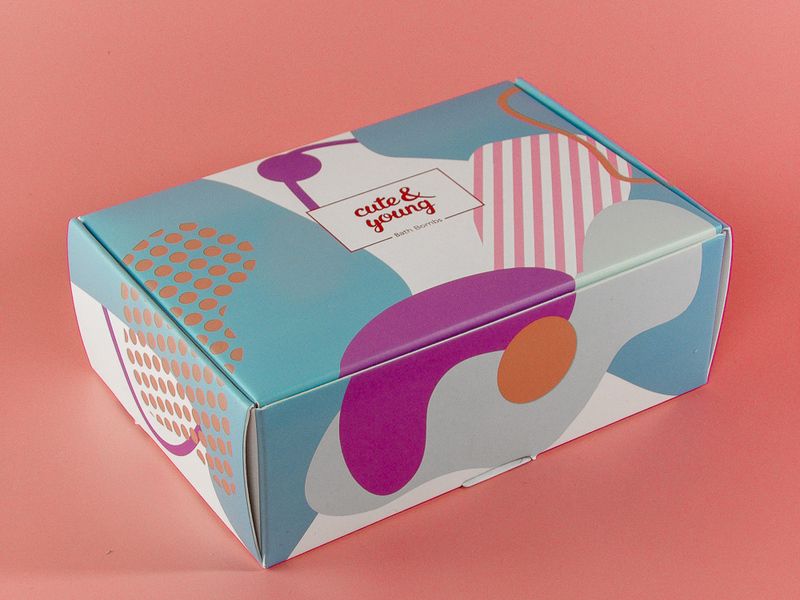 Style Chicks received The Cute & Young Bath Bomb Gift Set in exchange for our unbiased review and received compensation for our time and effort. However, our experience with the product and the opinions expressed in this review are 100% ours. Love dry shampoo but hate damaging chemical ingredients? Pure Glam Dry Shampoo is made with natural ingredients and is actually good for your hair! It absorbs oil and provides texture, giving it gorgeous lift and voluminous body. Unlike so many dry shampoos, Pure Glam Dry Shampoo doesn’t leave my hair dusty or chalky. It makes my hair so bouncy! Pure Glam Dry Shampoo: effective, natural, cruelty-free, Vegan, and Gluten-free! It’s been three months since I started using the KerMax Hair Loss System – time flies! I am quite impressed with the KerMax line in reducing my hair loss issue. The great part about the regime is the ease of use. The shampoo and conditioner are no-brainer replacements for your standard shower routine, and the day and night treatments are simple and non-greasy. In fact, using them takes far less time than futile attempts to style your hair into looking fuller and covering thinned out spots. Let’s talk about the shampoo and conditioner first. The first time I used the shampoo, I squirted out way too much. Give the bottle a gentle squeeze: it is a lightweight formulation, not a thick, heavy cream. You also don’t need much of the shampoo to get your hair clean. It doesn’t lather, but you can feel it in your hair, so don’t worry about missing spots. It also washes out quickly and cleanly: no rough scrubbing is necessary, just gently massage it out of your hair. It won’t give you a squeaky clean feel, but really, that isn’t good for your hair whether you have a hair loss issue or not. My hair felt clean and soft from the first use. The same goes for the conditioner. It is a lightweight formula, but it gets the job done. My hair was shiny and bouncy after using this conditioner, and it didn’t take long to wash out. It also washed out cleanly and didn’t leave residue behind. So not only did my shampoo and conditioning routine leave my hair in great condition, but it shaved time off of my shower in the morning. Can’t beat that! The two treatment products are just as easy to use. The Essential Day Foam is a quick and easy morning treatment on areas that need some rejuvenation. It dries down with no stickiness or residue, which surprised and delighted me. I put it on when my hair is wet to get maximum coverage of the scalp, and then proceed with styling. The hair it gets on looks just as clean and shiny as the rest of my hair, which is nice. The nighttime treatment, the Thickening hair serum, is a little thicker and leave a bit more residue behind, but it isn’t significant, and it didn’t affect the appearance of my hair on the mornings where I used it at night and wasn’t able to wash my hair in the morning. Of course, the ease of use means nothing unless the product line delivers results. KerMax absolutely does! In the first month and a half or so I knew that I was gentler on my hair since I didn’t have to be as rough on my hair in the shower, and that would help slow my hair loss. Then I started noticing something: there was far less hair left in my brush after I used it. I went from a disturbing amount of hair coming out in the shower to virtually none. I didn’t have to use a lint brush to remove hairs from my clothes during the day. In short, my hair shedding reduced dramatically. WOW! Top: My hairline before I started using KerMax. Bottom: My current hairline thanks to the Kermax System! I am very impressed with the KerMax line. While my hairline has not returned to its full former glory, it is making its way back to healthy hair, and KerMax has been a huge part of that. Really, to have ANY restoration in a short three month’s time is practically unheard of, so I am really looking forward to seeing what happens with continued use, and the fact that KerMax is an all natural line is a significant bonus for me. 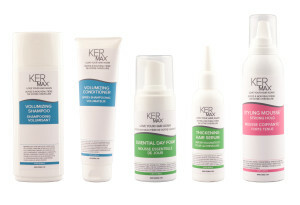 For anyone suffering hair loss or thinning, I wholeheartedly recommend the KerMax line! KerMax available in Canada at all Shoppers Drug Mart locations, and in the United States at all CVS locations, and CVS online. Find more information about KerMax at Kermax.com! Also, learn more about KerMax on their website, Facebook, Twitter, and Youtube! I was compensated for my time and effort; however, my experience with the product and the opinions expressed in this review are 100% mine. For many people, thick full hair equates to beauty and youth. The women in my family have always had thick, strong, full, and silky hair. Strangers regularly compliment my hair. Well into her 80’s, my Grandmother’s hair was silky, dark and thick – you would never have guessed her age from her hairline, practically no thinning, sparseness, or loss of density. I always considered my hair one of the best, if not my best, feature. I always take good care of my hair with quality brushes, shampoos, treatments and avoided damaging treatments. No styles that pull on my hair, and no hot irons or harsh chemicals on my scalp. 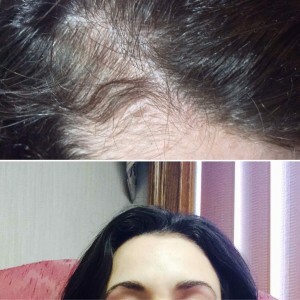 So you can imagine my surprise when otherwise healthy and looks conscious me started to lose my thick, full hair – I had hair thinning in spots that became hard to conceal. We don’t hear much about women losing their hair: but it is common, as many as 40-50% of women experience hair thinning (also known as FPHL or Female Pattern Hair Loss). And many of these are not older women who are experiencing hair loss as a normal part of aging: it happens to younger, active women even in their thirties, like me. Some women lose for known medical reasons, others due to stress, medications, pregnancy or even rapid weight loss. The reason for my hair loss is a common stressor that at some point affects almost all of us: the death of a loved one. In my case, my hair loss happened after the sudden illness and death of my beloved father. After nearly two months of staying at the hospital with him nearly around the clock, subsisting on coffee, barely eating or sleeping through the ups and downs and all the stress, I rapidly lost weight from my poor diet, and my hair became noticeably thin in spots. I went to the doctor. The bloodwork and tests showed nothing hormonally or otherwise wrong with me that would cause hair loss at my age and my health – but he did tell me about the impact of all that stress, the physical exhaustion, and the grief. The same stress that caused the loss of sleep and poor nutrition that resulted in the rapid weight loss caused my hair to become thinner in a way that became hard to conceal by just by altering my hairstyle to conceal the thinning sections. I thought that it would improve over time, like how I got my back to my normal, healthy weight. But the hair loss hasn’t markedly improved over time. I began to investigate my options. WHAT TO DO ABOUT MY HAIR LOSS? I knew what I didn’t want: I was not interested in any kind of hair extension or makeup to conceal the scalp skin; I wanted to deal with the problem, not cover it. I didn’t want to do anything risky with medications or treatments. I wanted a treatment that was safe for women, preferably natural because I didn’t want to involve hormones or chemicals. I wanted it to work quickly. And I wanted to be able to read the research and science behind the solution. I knew I did not want side effects like scalp redness or irritation, and I didn’t want it to cause inflammation that affected healthy hair follicles. 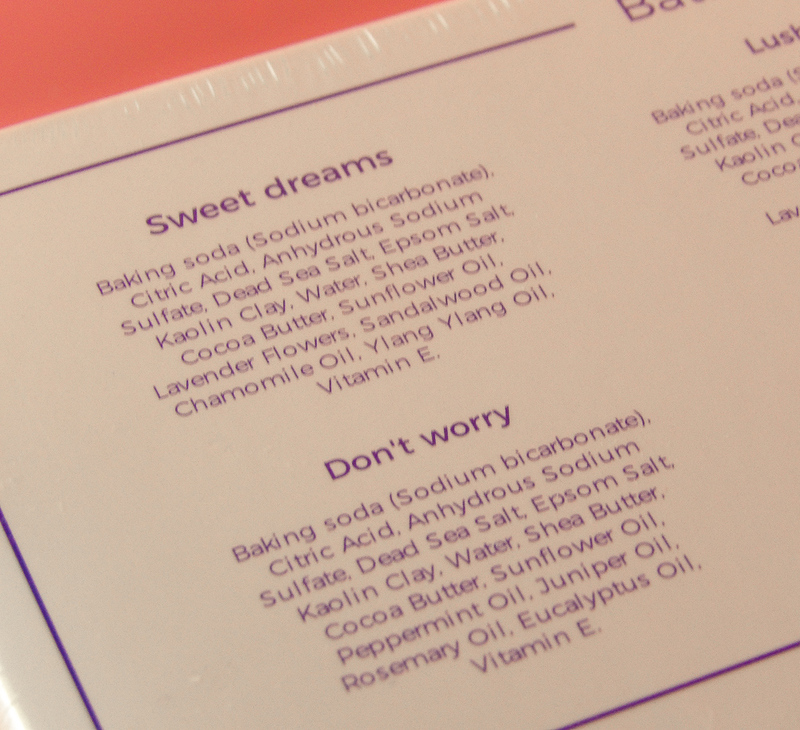 If a product had natural ingredients, it would be fantastic. So as you might guess I was thrilled when I heard about the KerMax Hairloss System. Keramax is four products system: a shampoo, a conditioner to replace your current shampoo/conditioner regiment, plus a nighttime hair thickening serum and a daytime foam treatment. It is safe to use, and I haven’t had any bad reactions in the few days I’ve been using it so far. The foam and serum absorb nicely and is undetectable when dry. No greasy treatment area! In the scientific study, participants used this regiment for 12 weeks, and all the participants experienced less hair loss. Pretty nice to be able to stop hair loss in its tracks! I’m really excited to try out the Kermax line and see if I can get my healthy hair back to its’ former glory! I’ll be updating you on the result in 12 weeks, so stay tuned! In Canada: Available at all Shopper Drug Mart Locations and in the United States at all CVS locations and CVS online. Learn more about KerMax on their website, Facebook, Twitter, and Youtube! 1) Instagram: Follow Style Chicks on Instagram (if you aren’t following us already, find us at https://www.instagram.com/stylechicksdotcom/) and like the giveaway post. If you can’t find it immediately, search under the hashtag #StyleChicksKerMaxGiveaway. 2) If you aren’t on Instagram, you can send us an email at [email protected]. The Giveaway will run from today, February 19th at 7 PM to Friday, February 26th at 7 PM EST. We won’t publish your name, and will only pass your information onto the company to send you your KerMax System! This post was written by me. While I was compensated for my time and effort, all opinions remain 100% mine.